City Prosecutor Dana Lantz said a woman arrested over the weekend for stabbing a man in the neck did so because she wanted his television. 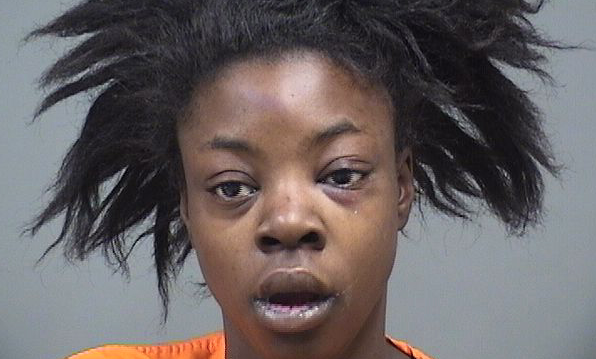 Jasmine Harrison, 26, of South Maryland Avenue was arraigned Monday in municipal court before visiting Judge Dino Prassinos on a charge of felonious assault. Her bond is set at $50,000. Reports said the man told police Harrison stabbed him in the neck and hands Saturday while he was watching football. Lantz said when the victim was stabbed in the neck, the knife went clear through. Fortunately no major blood vessels were hit, Lantz said, but the victim is still in the hospital. Police were called to the street about 8:20 p.m. Saturday, where they found the victim bleeding – and Harrison had his television, Lantz said. Police said the suspect in a shooting early Saturday at a South Side bar was arrested a couple of hours later as he was being treated for a gunshot wound at St. Elizabeth Youngstown Hospital. Terrance McKinney, 33, of North Bon Air Avenue, was arrested on a charge of felonious assault. He was still being treated Monday at the hospital for his wounds. Police said officers were called about 1:30 a.m. to the Southern Tavern where they found a man who had two gunshot wounds. Reports said officers watched security video and saw McKinney holding a gun outside the bar talking to a man inside then McKinney started shooting. Reports said the victim pulled his gun and began shooting back and McKinney ran away. Police found .45-caliber and 9 mm casings outside the bar, reports said. Reports said officers found a vehicle at McKinney’s home that was damaged by gunfire and had blood on the front seat. November 13, 2017 10:14 a.m.
September 6, 2017 12:05 a.m.